North Kingstown, RI Elected officials, business leaders and other dignitaries gathered on October 12 for the groundbreaking ceremony for Infinity Meat Solutions’ new 200,000 s/f, fresh protein packaging facility, which will create more than 700 food manufacturing, supply chain and distribution jobs in Rhode Island and account for more than $100 million of investment in the state. The new facility will handle beef, ground beef, pork and prepared meats for meal solutions, such as marinated and stuffed meat. Infinity Meat Solutions is a subsidiary of Retail Business Services, the services company of Ahold Delhaize USA. At the groundbreaking event, Retail Business Services announced that Cargill Protein will consult on the construction of the facility and manage the site’s operations and workforce. The Dennis Group has been selected as the design-build firm for the facility, which will be located in Quonset Business Park. As part of the groundbreaking ceremony, Retail Business Services and Cargill Protein donated 25,000 meals to the Rhode Island Community Food Bank to support hunger relief and nutrition efforts in the state. In May, the board of the Rhode Island Commerce Corporation voted to authorize Infinity Meat Solutions tax credits from the Rebuild Rhode Island and Qualified Jobs Tax Credit Programs. Infinity Meat Solutions is eligible for an average of $948,000 in qualified job incentives each year for up to 10 years, beginning when the company reaches certain hiring benchmarks and employees are paying Rhode Island income taxes. 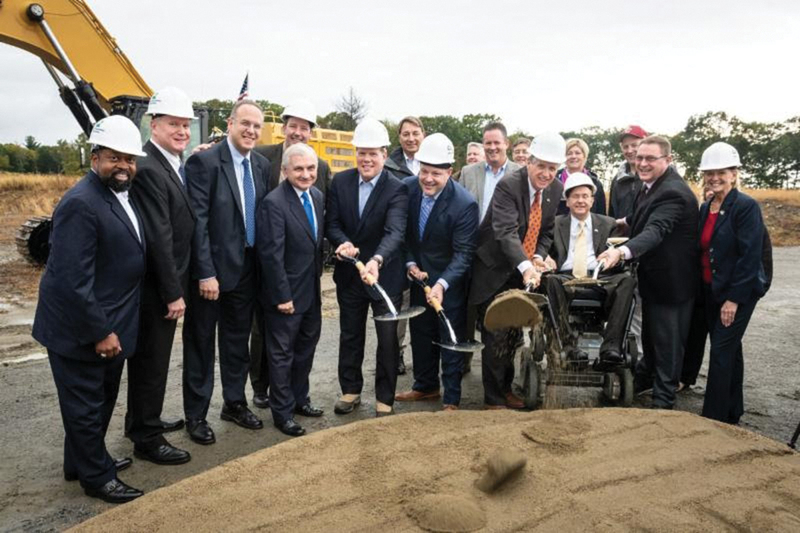 In addition, the company is eligible for $1.9 million in Rebuild RI tax credits to support the construction of its new facility and a sales tax rebate on construction materials purchased in Rhode Island. In all, Infinity Meat Solutions will add nearly $60 million of activity to Rhode Island’s economy each year and generate more than $10 million in additional state revenue over the next 10 years.